Communities thrive when they work together. In the spirit of community and a love of the arts, Creative Clay, PARC and The Arc Tampa Bay teamed up to create a collaborative art project that will be displayed at Pinellas Community Foundation’s Festivale 50. Each organization chose four artists over the age of 60 who used art to answer to the question: How does it feel to age? 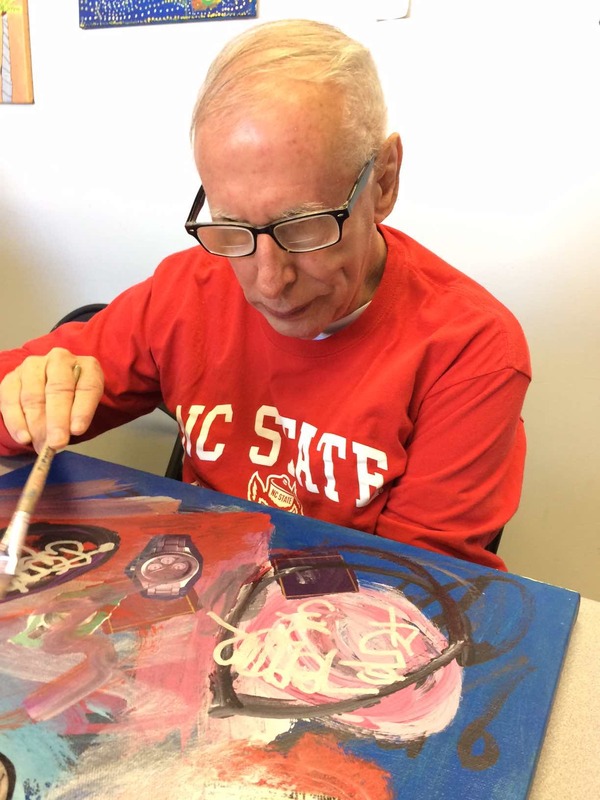 At Creative Clay, older adults with special needs can embrace ACT II with enthusiasm and artistic freedom. The four artists that make up Creative Clay’s contribution to the project are Ray, Cathy, Karen and Carolyn. Each approached the project with their own style. Dohrman hopes that this gallery project will lead to future collaborations between the three nonprofits. The benefits of working together go beyond creating works of art; collaboration also means that Creative Clay, PARC and The Arc Tampa Bay will be able to serve their communities more effectively. If you would like to see the mural created by local ACT II artists, join us at Festivale 50, where it will be on display. You can find out more or purchase tickets for Festivale 50 online. We hope to see you there!